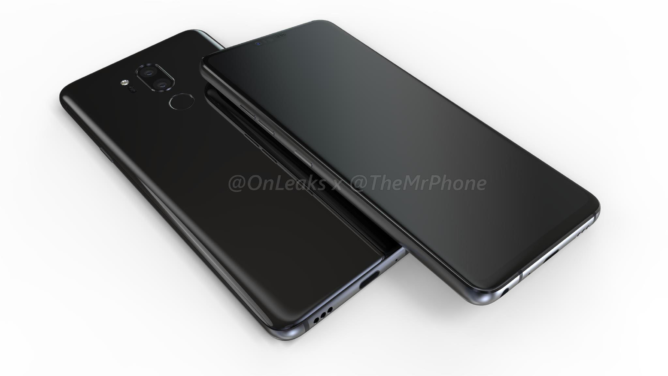 Renders of the forthcoming LG G7 ThinQ cropped up earlier this month, showing the phone to have four hardware buttons. Power, volume up, and volume down are obvious, but the fourth, we speculated, could be something like Samsung's Bixby button. We were sort of right: CNET reports that "people familiar with the smartphone" say the additional key will be a dedicated Google Assistant button. G7 ThinQ render, showing four hardware buttons. In February, Google announced deeper integration for Assistant on third-party devices to allow control of more functions on phones and within apps. LG, Sony, and Xiaomi were confirmed to be on board at the time, and by the looks of things, LG is taking it pretty seriously. Samsung has taken a lot of flak for its decision to include a hardware key dedicated to a single function that, unlike unlocking the device and adjusting the volume, not everyone has cause to use. By and large, the Google Assistant is better-received than Bixby, but still, some users are similarly critical of the Pixel 2's dedicated squeeze-for-Assistant function. The Assistant-loving, notch-sporting G7 ThinQ is set to be formally announced at a New York event on May 2.